One of Spain’s biggest wine producers Félix Solís Avantis is planning to build a bulk and bottled wine operation in Chile as well as update its facility in Valdepeñas. Speaking to the drinks business last week, export and marketing director for the company Félix Solís Ramos said he was hoping to build a facility in Chile from the ground up or possibly buy an existing winery. The decision to invest in South America is motivated by the increasing demand for Chilean wines in Europe and Asia as well as by the increasing demand for Chilean bulk wine in China where Félix Solís has a bottling company and an import and distribution company, both of which are in Shanghai. With Spanish bulk wine prices increasing over the last 12 months due to last year’s small harvest, China has decreased its bulk wine shipments from Spain, but ramped up its imports from Chile to compensate, which has seen a slight decline in bulk wine prices. “It is either Spain or Chile that is number one depending on the price,” explained Stephen Wang, general manager for Félix Solís in China, referring to bulk wine shipments to the country. Mr Solís also said the company was committing €50 million to expand its Spanish operations, with a plan to update its winery in Valdepeñas over the next five years. The Valdepenas winery is used to produce over 220 million litres of wine including the Viña Albali label, the best selling Spanish brand in the UK market. 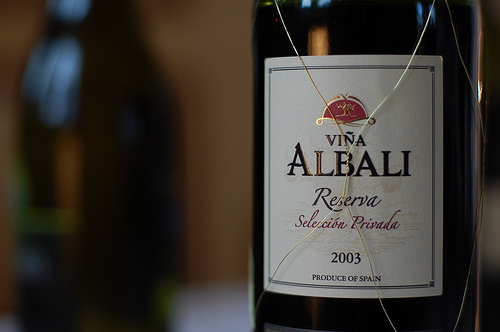 The winery is presently used to produce over 220 million litres of wine including the Viña Albali label, one of Spain’s biggest brands, and the best selling Spanish brand in the UK market. Félix Solís Avantis acts as the holding company for two organisations in Spain, Félix Solís, with major facilities in both Valdepeñas and La Mancha, and Pagos del Rey, which manages four wineries in northern Spain, including one in Rioja, Rueda, Ribera de Duero and Toro. Mr Solís also told db that he was considering augmenting the latter business, Pagos del Rey, through the possible addition of a winery in Galicia’s Rias Baixas for producing wine from the Albariño grape, as well as one in Penedes for making Cava. Félix Solís, which exports 55% of its total 300m bottle production, has seen demand from its domestic market stabilise, but not decline, according to Mr Solís. This, he added, was due to the shift in sales from the on-trade to the retail sector, where Félix Solís has a strong presence. He also noted a rise in demand for Spanish whites both domestically and abroad, with surging sales of wines from Rueda specifically. “We sell all our production, Rueda is growing tremendously,” he said. “Whites are really increasing, and even under screwcap… finally the demand for whites under screwcap is starting in Spain,” he added. Click here for more information on Félix Solís Avantis following an exclusive interview in 2011 with Félix Solís Ramos.